11 Different Vocabulary Review and Practice Games in 1! Students LOVE practicing and reviewing vocabulary with either version of these games (hear circle or flyswatter games). PowerPoint includes 11 different games in the topics listed above with directions to play two different versions. Students hear, translate and locate words to win the games. Games can be played using the PowerPoint or printing out copies. Check out my store for more Spanish lessons, games, and activities! Looking for a fun tech tool to use when teaching graphing skills? Make sure to check out Create-A-Graph's website! I created these math word problem cards to supplement the site, along with blank cards so that you may customize to your needs! Click HERE to see the corresponding video to match the free file download! If you enjoy this product, feel free to see more ideas at The Organized Classroom Blog, like The OC Blog's Facebook Fan Page, follow me on Twitter, or follow my TpT Store! See you there! Search words: Enzyme, catalyst, substrate, hydrogen peroxide, peroxisome, lab lesson plan. NOTE: This product is also available in a bundled product called Biology Labs: 15 Must Do Labs for a Biology Class. Catalase is an enzyme that is commonly found in plant and animal tissues. The function of the enzyme catalase is to break down the chemical hydrogen peroxide inside living cells. Because it is toxic, or poisonous, hydrogen peroxide would soon kill the cell if it were not removed or broken down immediately. Manganese dioxide is an inorganic catalyst. Catalysts are similar to enzymes in that they speed up chemical reactions, but they are not specific for just one reaction. In this lab, students will observe the function of enzymes and will learn many facts about enzymes. They will observe the role of catalase inside living cells and will compare the enzyme catalase to the catalyst manganese dioxide. Your download will include Introduction, Materials, Procedure, Student Data Pages, Follow Up Questions, Answers, and Teacher Preparation Notes. 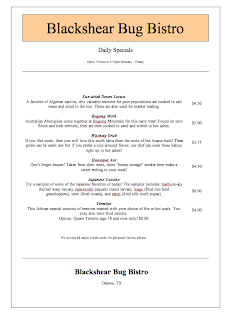 While teaching entomophagy to your students this year, incorporate a menu that truly shows some scrumptious dishes! This is a .doc file instead of pdf so that you may custom the title to your own school and the bottom may be customed to show your city. This item is set up to look just like a menu but the items are little more exotic than most that they are used to. This makes an excellent addition to an entomophagy health unit. Describes the type of insect, where it is popular as a food, and how it is eaten. 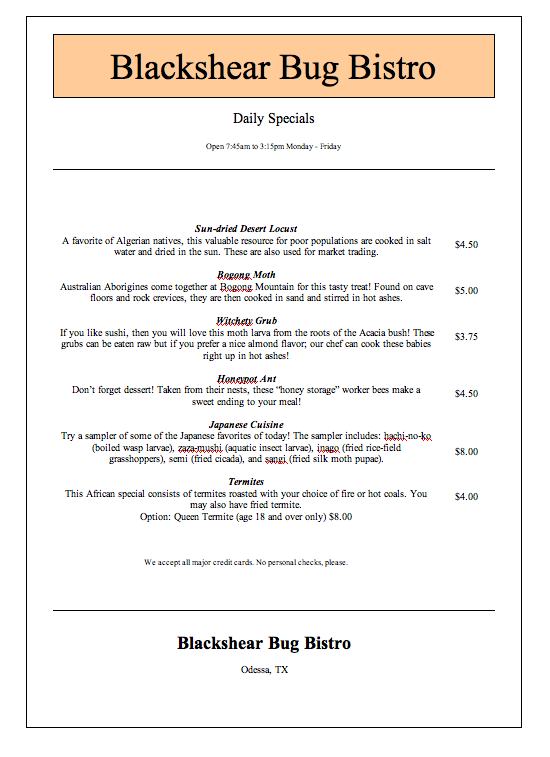 Includes prices for a menu look. Keep a look out for more entomophagy health items to create your own unit this year! This "find someone who" activity is a non-threatening beginning of the year verbal class activity. It is a Word document and can be easily edited to suit your learners level of vocabulary and grammar knowledge. 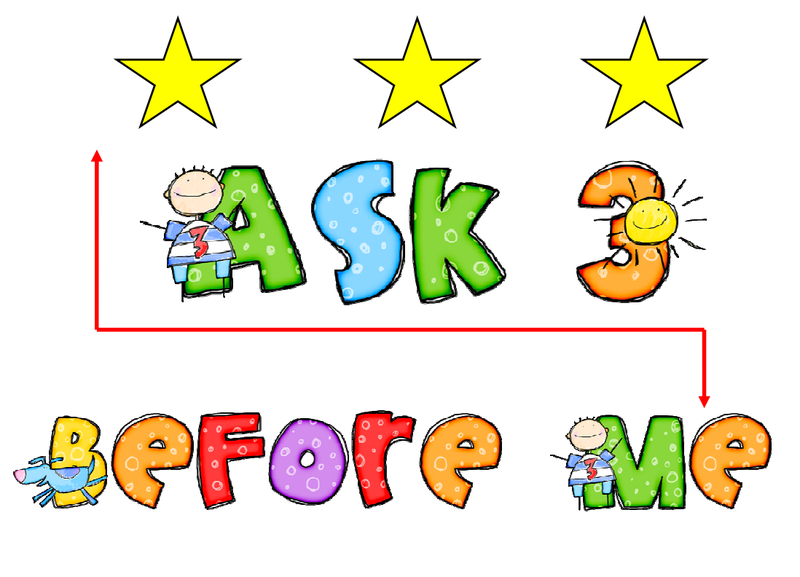 All the questions use the same stem, which you can model when introducing the activity, and the questions are all in the present tense using regular and some common irregular verbs. 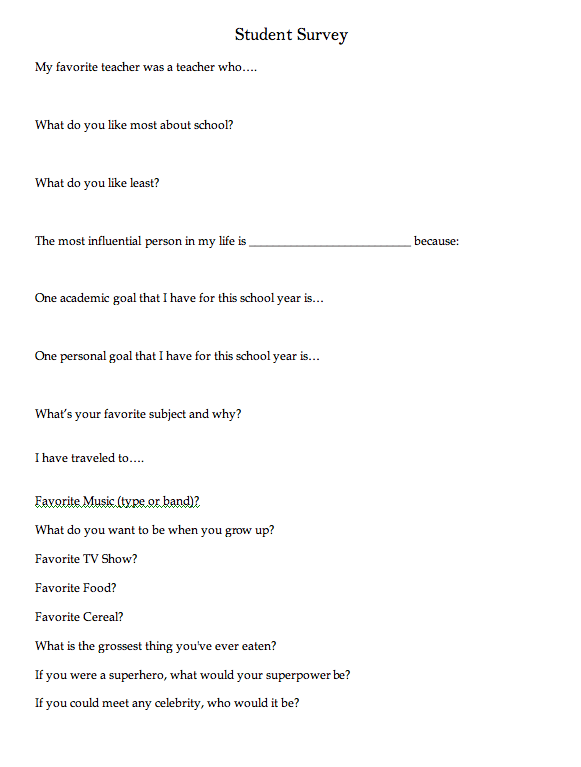 A survey to students to fill out on the first day of class so the teacher can learn things about the student, both academically and socially. Gives students a chance to inform teachers of needs they have in the classroom and what type of person they are outside of the classroom so the teacher can make connections. I prepared this Unit Plan for my first-quarter "Instructional Methods" class in my teaching credential program in 2003. 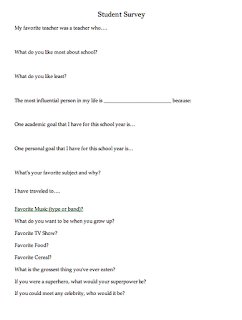 It includes 10 days of detailed lesson plans, handouts, and related readings (short story, poem, newspaper article). This is a .doc file, which can be imported and edited using Microsoft Word (1997 or newer). FREE LESSONS ALL DAY on The Lesson Cloud! The Lesson Cloud is officially open today! In order to celebrate, the TpT authors of The Lesson Cloud will be posting their free products throughout the day. Children practice their sight words while playing this fun Easter game. Students must try and find the bunny hidden under an Easter egg. To be able to look under the chosen egg, children must read the word on it. Works on word recognition skills and turn taking. Win $2,000 worth of prizes! The Organized Classroom is having a Back to School Giveaway with almost $2,300 worth of prizes! You may win my "Teaching Tips From an Award-Winning National Board Certified Teacher" or 39 other prizes! The contest ends at 11:59 P.M. EST on Friday, August 26th. Let's dispel the myth of the "ignorant American" by allowing an opportunity for our students to study current events in other countries on a regular basis. 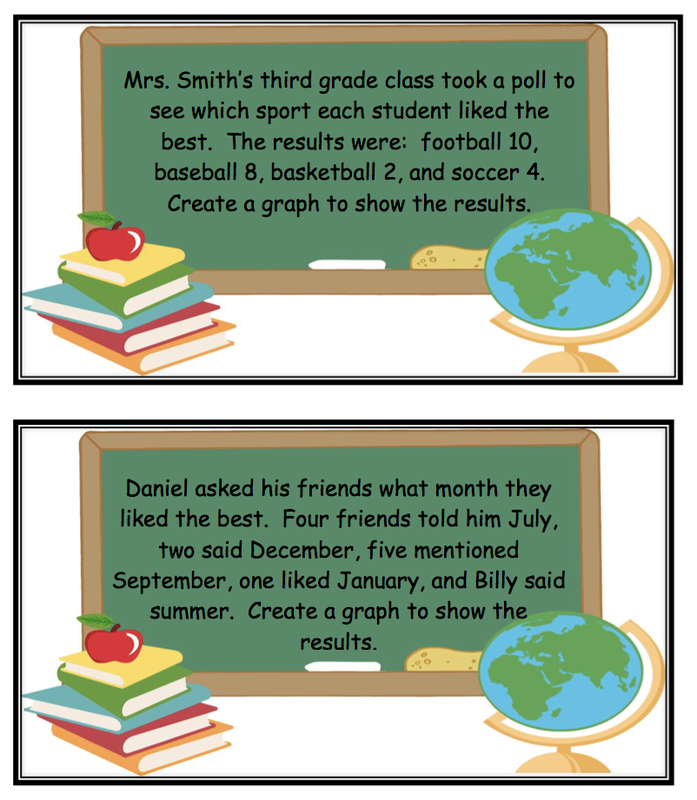 This could be a weekly, monthly, semester, or year long project for any classroom! This activity is perfectly suited for a government class, world history, social studies, or foreign language class. But I can see this research being done in so many different classes. It would be a wonderful activity for a speech/public speaking class too. I wrote this document for use in my Spanish classes, but as you can see, it can easily be changed for any foreign language classroom, social studies, or government class. And being the creative teacher that YOU are, I'm sure you can think of many more applications! My students are having a blast this semester with this activity. They know that every Thursday their Current Event Article is due, and they get to share the articles they found for the week with their classmates. I also offer a few points of extra credit for students who share their articles in front of the class-- You wouldn't believe how many students clamber to share their articles! And they find the most interesting news!! They're not only keeping themselves and their classmates up to date on world news, they're helping to keep ME up to date! My only regret is that I didn't start using this at the beginning of the school year! I hope this document works for you! If you have a wonderful experience or anecdote about using this product in your class, please share it here! And please visit my other products. Thank you! This graph can be used to measure students' reading growth. Students can do a cold read on a passage on Monday, and then after practicing the passage all week they can measure the rate on Friday and then graph their progress on that passage. To only teacher-authors on the Teachers Pay Teachers' Seller's Forum: Feel free to cut and paste this submission to your blog, website, and/or promotional item...you just cannot sell it for profit. Permission was granted on the Seller's Forum on May 5, 2011...Selling Tips...Blog, Sqworl, &TpT Products Page = FREE ADVERTISING! 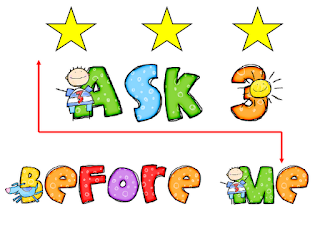 This is a poster I display to remind students to 'Ask 3 Before Me'. It has helped cut down on students asking 'What do I do now", 'What do I need", 'What book" etc. If you download, please consider leaving feedback. To only teacher-authors on the Teachers Pay Teachers' Seller's Forum: Feel free to cut and paste this submission to your blog, website, and/or promotional item...you just cannot sell it for profit. Permission was granted on the Seller's Forum on August 19, 2011...Selling Tips...Freebie Promotion = FREE ADVERTISING! The Potter Games (www.thepottergames.com) is a Choose-Your-Own-Adventure interactive fiction game that combines the characters from J.K. Rowling's Harry Potter series with the setting of The Hunger Games by Suzanne Collins. The setting: It's a fictional alternate universe in which Voldemort has taken over and after reading The Hunger Games, has decided he'd like to punish the wizarding world with his own Hunger Games. Students read the passages for the different "tributes" and select which path they would take next. There is only one path to becoming a Victor (and there are 24 tributes), so this internet-based activity gives students numerous reading exercises and critical-thinking/problem-solving practice. Choose-your-own-adventure stories have been used effectively to improve reading comprehension and analytical skills. Take it a step further and have students write their own Choose-Your-Own-Adventure game. By having them write, they'll be using even more problem-solving and creative-thinking skills, and sharing with their classmates will give them ample peer editing opportunities. Directions are included. I included a credit page of all the contributors to The Potter Games. I was honored to be one of the writers/editors for this great project that combines two of my favorite novel series! This is a fan-made website and is not affiliated with Rowling or Collins, Scholastic, or Lionsgate. Thanks for downloading & don't forget to leave feedback! I am pleased to announce the winner of Debbie Clement’s award-winning book; Red, White, and Blue is Laura Major of Lakeland, Louisiana! Congratulations! Here's a great gameboard to put in a literacy center for practice with decoding skills. 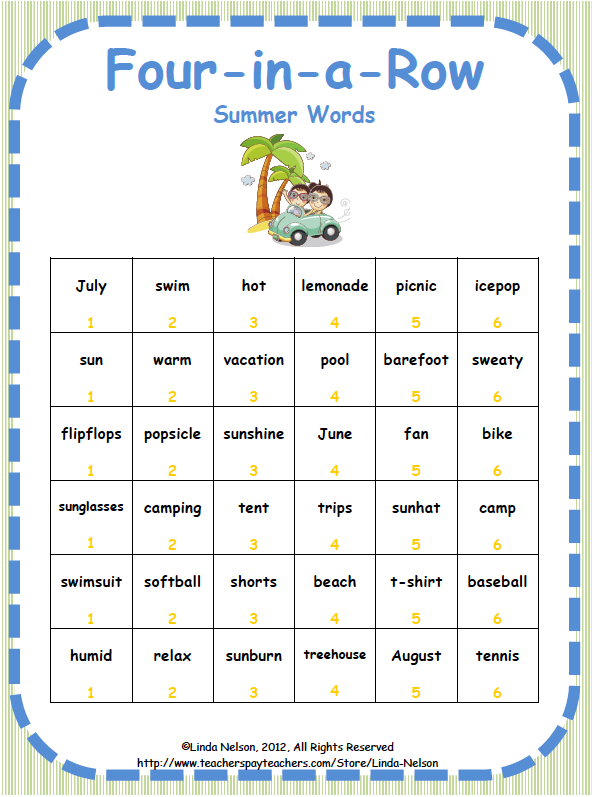 Your first, second, and third grade students will have fun while practicing reading a variety of summer-themed vocabulary. 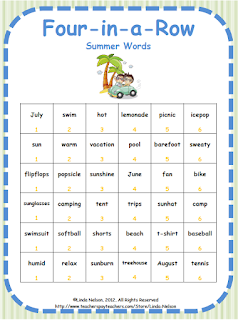 Some of the words here might even set their thoughts to some writing about summer! If you like this kind of activity, please be sure to look for my collection of Four-in-a-Row Gameboards for primary grade practice of a variety of literacy and computation skills! Go to Charity Preston's updated "The Organized Classroom" to see how to win a $50 Amazon Gift Card! You have until tomorrow at 5:00 P.M. (P.S.T.) to enter my contest for a free copy of Debbie Clement's Award-Winning book and CD, Red, White, and Blue. Scroll down to my post on August 11, 2011. You may also like to see the video Debbie created describing her book. A great creative writing assignment for students. Practice writing in 3rd person, answering the 5 w's and working in the style of a newspaper. Assignment is written in the style of a newspaper as an example. Works well for grades 5-10. Includes assignment sheet, brainstorming worksheet, and detailed marking rubric. Like what you see?? Why not FOLLOW ME on Teachers Pay Teachers for updates of new products! If you like this product check out my other writing assignments / activities. In honor of the final Harry Potter movie this week, enjoy these FREE printable Harry Potter bookmarks. Contains several different designs for six pages of downloads. Win a $50 Amazon.com Gift Card, a free “The Canterbury Tales Literature Guide,” and more prizes! Go to Secondary Solutions to find out how to win these and other prizes! 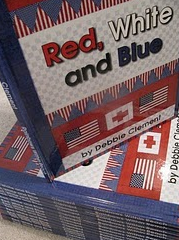 You may win an autographed copy of Debbie Clement’s award-winning book and CD, Red, White, and Blue. Debbie’s journey began 10 years ago when she wrote the song, “Red, White, and Blue” right after that fateful day on September 11th. She then decided to write the book, Red, White, and Blue, to go along with her song. Debbie’s book and song does not have any direct references to September 11th, but rather pays tribute to the American spirit. While battling cancer, Debbie spent five years creating the patriotic themed quilts which are photographed in Red, White, and Blue. Last week, Debbie found out that Red, White, and Blue had won the Indie Excellence Book Award. In one month, Americans will hold remembrances on the 10th Anniversary of September 11th. Debbie hopes that teachers throughout the United States will use her CD to teach the words to her song, “Red, White, and Blue.” Students may also learn the American Sign Language motions which go with the song. Copies of Red, White and Blue may be purchased by clicking the link below. If you enter RWB911 in the promotion code box, you will automatically save 20% off the cost of the book. You may also try to win an autographed copy of Red, White, and Blue. Click on the “Join this site” button on the left hand column of “The Best of Teachers Pay Teachers” and fill in the space below with the user name you used to join this website. Please also include in the spaces provided your name, email address, and the address where you would like your book and CD mailed if you are the lucky winner. Sorry, but only those living in the United States may participate. At 5:00 P.M. PST on August 16th, the contest will end. I will use a random number generator to choose the winner and announce it on “The Best of Teachers Pay Teachers.” I will email the winner and give Debbie Clement the name and address of the winner. Debbie will mail her book and CD to the address provided. You may also go to Debbie’s website, Rainbows Within Reach, to find other ways to enter contests for her Red, White, and Blue. This activity has students match up standard form and scientific notation. There are two separate activities that can be used together or as stations. If you copy and laminate them, they can be used over and over again! Children will love following the step-by-step diagrams that show how to draw the birds that they can see in their own backyards! Children will learn that the food birds eat is related to their beak shape by participating in a fun science activity using common tools and food items. The step-by-step diagrams are easy to follow and can be used either as an independent activity or as a teacher directed group activity. Pages are copied and stapled together so that each student will have their own bird field guide! 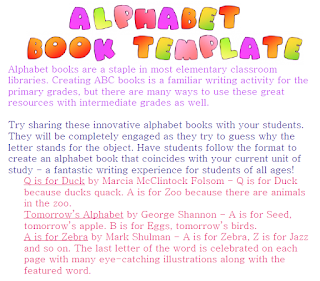 The booklet uses an emergent reader format focusing on the sight words this, is, and a. Cards for matching pictures of real birds to their names is included as well as 3 styles of lined paper to aid in your differentiated learning. 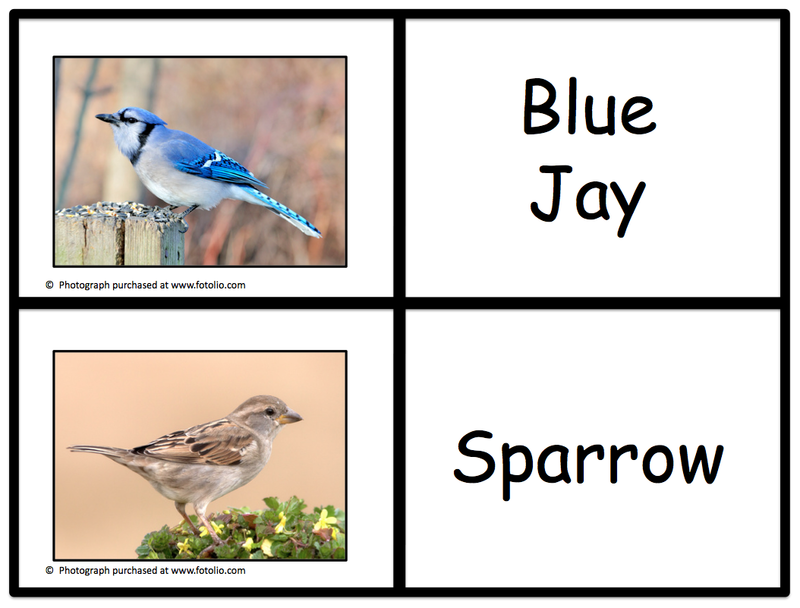 This is a great supplement to a thematic Bird unit! Learn about the sound of short A! 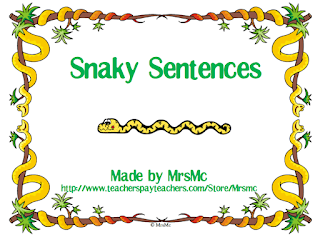 This SmartBoard lesson includes a variety of interactive pages, links to interactive websites, youtube video, a printable student worksheet and a lesson plan. You can rearrange the pages to create 2-3 different mini lessons. 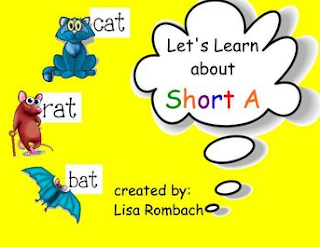 Your students will have fun learning about short a in this 20 page notebook lesson! 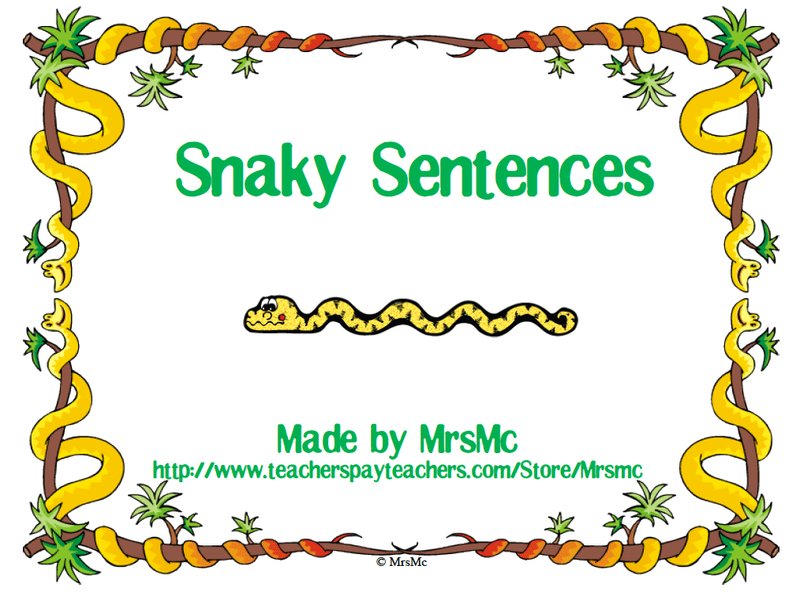 See my other products for lessons on the other short vowels. Eat your way through fractions, decimals, and percents. This fun math activity has students analyzing a sample of skittles and applying concepts such as: estimation, mean, mode, median, fractions, decimals, percents, circle graph, and math communication. The file also contains teacher instructions and an assessment. Got a few extra minutes? Ask your students one of these intriguing Would You Rather questions about the The Harry Potter series by J.K.Rowling. This is a visual way to do attendance that is quick and easy. I use cards that are made of 3 x 5 stock, and I put a home label on the bottom of one side, and a school label on the bottom of the other side. Above the school label I put each child’s picture, so when they are at school you can actually see their face. Every morning kiddos come in and find their card on the home side, and flip it to school. I like to make my own cards so they are personalized every year. The labels are formatted to Avery label 5395 (or equivalent size). So here are the labels that I use for my pocket chart. I've uploaded them in a word file so all you have to do is change the names to fit your class and you are ready to go. We hope you find this useful! 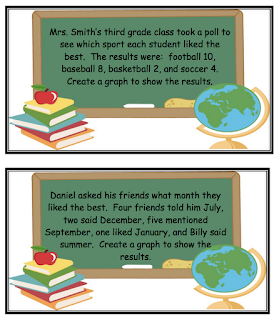 Back to School Giveaway from "Small Types"
again and again as it includes 16 different word problems using 5, 6, 7 or 8 monsters. This center is a perfect add-on to my ‘monster math activity pack’. You can purchase it from my TpT store. To only teacher-authors on the Teachers Pay Teachers' Seller's Forum: Feel free to cut and paste this submission to your blog, website, and/or promotional item...you just cannot sell it for profit. Permission was granted on the Seller's Forum on August 3, 2011...Selling Tips...Freebie Promotion = FREE ADVERTISING! Document consists of a guidelines, poetry pre-write chart, & rubric. Students write from the point of view of an animal they choose. Requirements include a creative visual display, supplementing the poem for oral presentation. The poem must stay on topic & in 1st person point of view. Focus should be on its environment, food intake, daily activities, habits, cool facts. They are asked to research the animal before writing the poem. I also ask that they choose an animal other than the common household pet. I use this during our Discovery Unit, and they really have fun presenting them! A fun presentation at the beginning of the year makes for easier presentations as they practice being in front of the class throughout the year. To only teacher-authors on the Teachers Pay Teachers' Seller's Forum: Feel free to cut and paste this submission to your blog, website, and/or promotional item...you just cannot sell it for profit. Permission was granted on the Seller's Forum on July 31, 2011...Selling Tips...Freebie Promotion = FREE ADVERTISING!